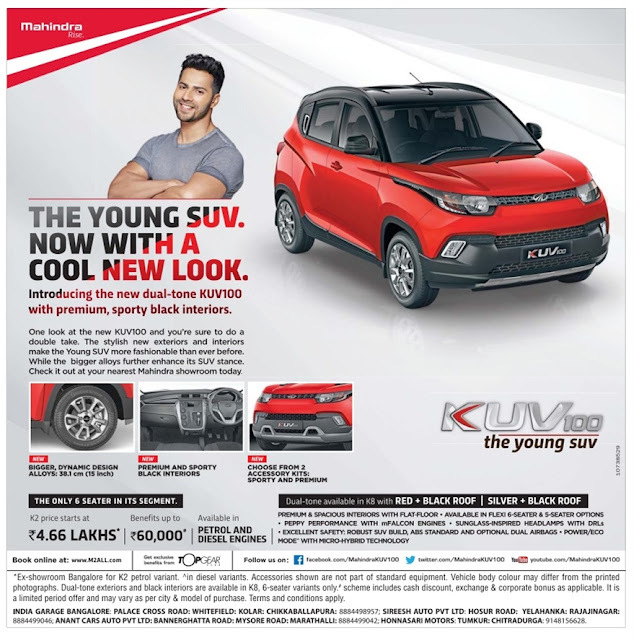 The young Mahindra SUV car now with a cool new look. Introducing the new dual-tone KUV100 with premium, sporty black interiors. The only 6 seater in its segment. K2 price starts at Rs 4.66 lakhs. Benefits up to Rs 60,000. Available in petrol and diesel engines. Dual tone available in K8 with RED+Black Roof| Silver+black Roof.